best equipment on the market, including the latest Red Gemini camera. We believe this course to be unique and an absolute essential for the modern filmmaker and VFX artist alike. Start dates: 2019 dates coming soon. Get hands-on and practical training using a mixture of on-set equipment and post production software to truly understand the bridge between production and post production. Improve your showreel - you’ll shoot some original plates that can then be used in VFX projects (2D and 3D) and added to your showreel. 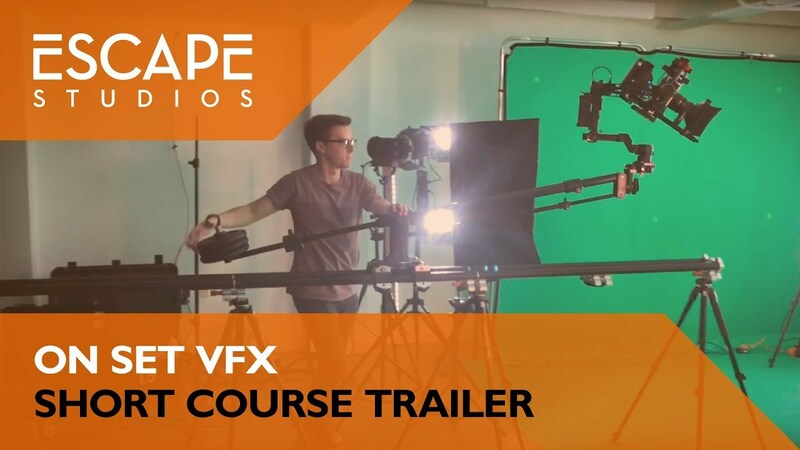 Boost your career - VFX artists are challenged to create photoreal assets and this course will teach you cinematic skills that you take back to your studio and use in a 2D or 3D environment. It can help VFX artists take their skills to the next level or can give new artist the edge needed to break into the industry. Network and have fun - meet other creatives and have fun in our studio. Each participant will be assigned a specific shot - inspired from existing high profile productions - which represents a typical technical challenge, both from VFX and Cinematographic point of view. The collective effort of the class will contribute to the creation of the 15 VFX shots. Whilst on-set you’ll operate camera and lighting equipment, work with actors, direct your own sequence and then take it into post production. On-set you will take on different crew roles so that you begin to understand and appreciate the challenges of other departments involved in the production process and specifically see how that can impact on the life of a VFX artist in post. Access to a professional 5K S35 production camera (Red Gemini), lighting and grip equipment is all included in the price of this course, as is access to our state of the art post-production suites. On-set VFX, also known in the industry as VFX Supervision, encompasses an increasingly wide arrays of skills and functions, bridging the gap between Production and Post-production, Filming and Visual Effects. Just like our 2D compositing and 3D curriculum, this course offers a unique and comprehensive foundation to apply for entry level positions in the field of vfx supervision. While the job of vfx supervisor on high profile productions may require some years of experience this course will give you nonetheless the essential knowledge and skills to serve in that capacity on independent projects. The course is led by award winning filmmaker Clement Gharini whose impressive CV includes working on Ex Machina, Harry Potter and Les Misérables. Take a look at his impressive showreel: www.clement.tv. Clement Gharini has 16 years of experience working in the film industry and a double technical background in cinematography and visual effects. I really love the hands on experience we’re getting studying at Escape Studios. I'm in love with this school.